As we last reported, Mugno had been re-re-nominated to the post of Assistant Secretary of Labor for OSHA. Mugno was originally nominated by Trump on October 27, 2017, testified before Congress on December 5, 2017 and was approved by the Health, Education, Labor and Pensions committee on December 13, 2017. But because his nomination didn’t come to a vote before the end of that year, the White House was forced to renominate him on January 16, 2018 and he was again approved by the HELP Committee shortly thereafter. But yet again, the full Senate did not vote on his nomination due issues not related to his qualifications, forcing him to be re-re-nominated on January 16, 2019. 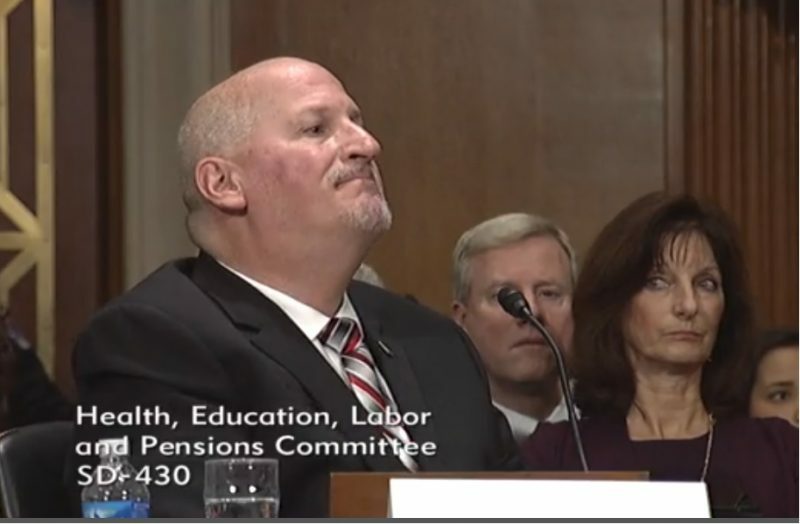 The HELP Committee was scheduled to re-re-approve him (along with a number of other Department of Labor nominees) in a mark-up scheduled for tomorrow, but that session was inexplicably postponed to a date yet-to-be-determined.